This week on Alcohollywood, we’re getting groovy with 1968’s Dino de Laurentiis-produced Italian spy-sploitation flick Danger: Diabolik! 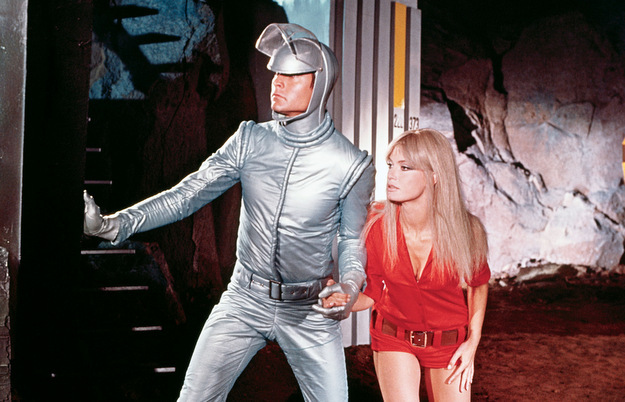 Adapted from the Italian comic, the film sees Barbarella‘s John Philip Law as a leather-clad super thief with a hot girlfriend/accomplice, spending the movie stealing more and more elaborate goods while being chased by Italian policeman Jenko and gangster Valmont (played by Thunderball‘s Largo, Adolfo Celi). The whole thing is delightfully wacky, if a little empty, and Mario Bava’s broad, energetic style is quite interesting to behold. Not only that, we get a wonderfully groovy Ennio Morricone score and appropriately lavish production design. This film is the very last one Mystery Science Theater 3000 ever covered, and it’s one of the few that is actually not a complete disaster. Check out our thoughts on it, along with our custom cocktail and drinking rules! WATCH THE FILM IN FULL HERE! Join us next week when we start Horror Octorbor once again! This time, we’re taking all the old Universal monster movies and double-featuring them with a modern adaptation – we’ll be starting first with the classic 1931 Frankenstein and Kenneth Branagh’s 1990s update, Mary Shelley’s Frankenstein!